Jimmy Zidek, 21, is from Sheboygan, Wisconsin. He’s been training for four years. 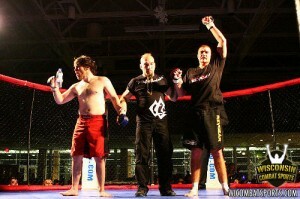 Jimmy’s amateur MMA record is 6-2-1, and his professional record is 2-4. He started as a boxer but after losing hard he learned the lesson and switched his whole training camp. Currently Jimmy trains at HIT Squad in Granite City, Illinois. He trains wrestling with Mark Fiore and BJJ with Kyle Watson. Jimmy says that HIT Squad is now his home. First he fought at 155 lb and now he dropped down to 145 lb. His last fight was on December 12th, 2009 in Oshkosh, WI. His opponent was Seth Marquez – a very good wrestler. Jimmy won by unanimous decision. This victory is very important for Jimmy – it proves that his wrestling and Jiu Jitsu are improving. 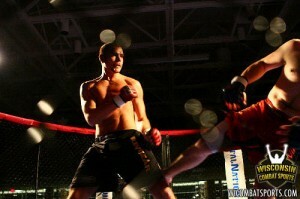 Jimmy is a very determined fighter and Revgear wishes him luck in his next fight.